Herbal medicinal spray with organic arnica. 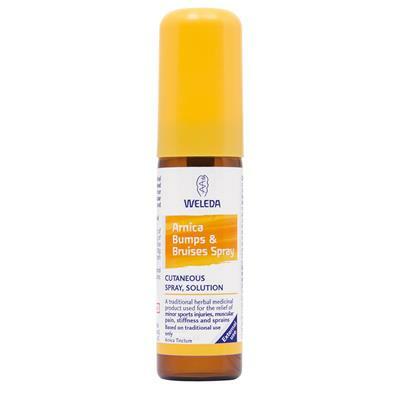 A first aid essential for bumps and bruises, stiff muscles and minor sports injuries. A traditional herbal medicinal product used for the relief of minor sports injuries, bruises, muscular pain, stiffnes and sprains. For application to the skin only. Wash hands before and after use. Adults, the elderly and children: Spary one to two metered doses on the affected area as required, up to four times a day and allowed to dry. May also be sprayed onto a damp cloth and used as a compress. 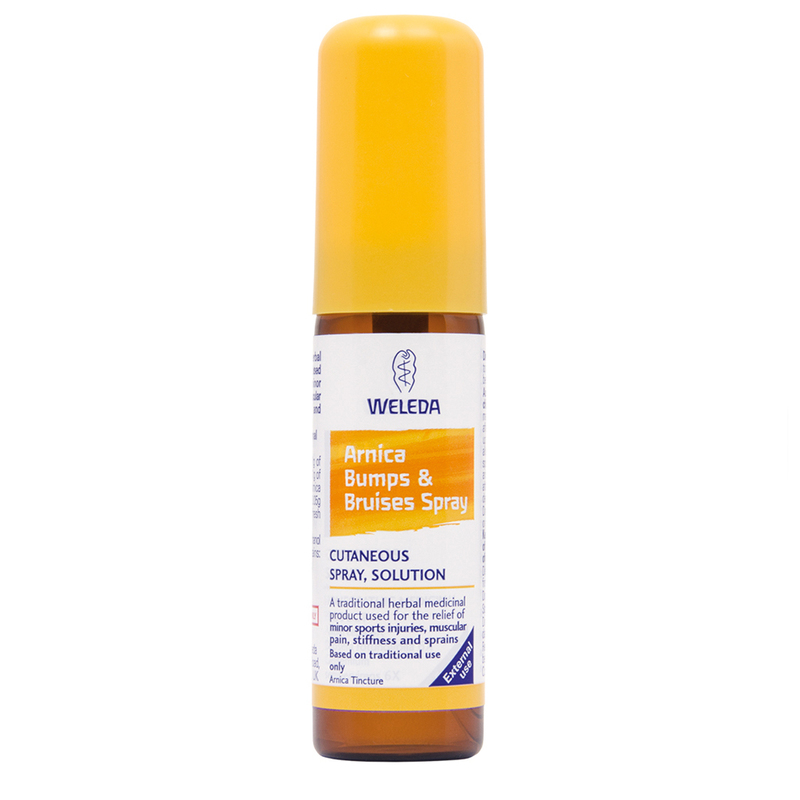 Traditionally applied immediatley after injury to prevent dvelopment of bruising. Do not use if you are allergic to Arnica montana, or to other plants in the Asteraceae (Compositae) family or to any of the other ingredients. Do not apply to broken or irritated skin. Avoid contact with the eyes and mucous membranes. Discontinue use if redness, irritation or dry skin occurs and consult your doctor. If articular pain accompanied by swelling of joint, redness or fever are present you should consult your doctor. If the condition worsens or if symptoms persist for more than two weeks, or if side effects occur, talk to your doctor or pharmacist. Active ingredients: 1g of spray contains 0.1g of tincture from Arnica (equivalent to 0.05g Arnica montana L fresh whole plant). Also contains: Ethanol and water. Extraction solvent: Ethanol 90% v/v and Pirified water (67.8/32.2). Suitable for adults, the elderly and children.